Our Boutique — Centre & Main Chocolate Co.
You can find us now in the not-so-hidden gem that is Warkworth, Ontario. Chocolate is like wine. When it grows in different parts of the world, it develops distinct nuances, due to variations in climate, soil, season and variety of cacao. At Centre & Main we're delighted to offer a wide array of Single Origin chocolates, which highlight and celebrate these distinct flavours. Our current selection includes: Ecuador, Peru, Haiti, Dominican Republic, Venezuela, Brazil, Mexico, Ghana, Uganda, Sâo Tomé Tanzania and Vietnam. 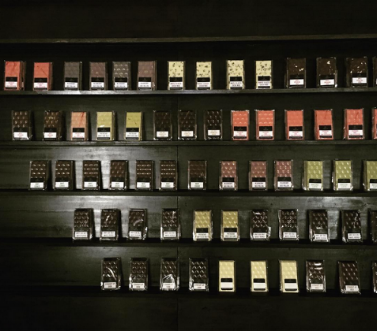 Discover the wide and always changing array of our chocolate in the Bar Bar! Each one is blended with natural ingredients in order to offer the most exquisite flavour experience. We also create a selection of chocolate barks which feature chunky inclusions like toasted nuts. tart cherries, candied oranges and generous sprinklings of our house-made English toffee using a rich and creamy local butter.